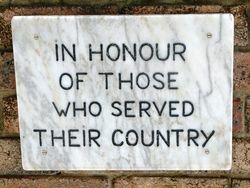 Cudgen War Memorial commemorates those who have served in the various conflicts in which Australia has been involved. Three brick columns with a triangular pyramid make up the centre of the monument. 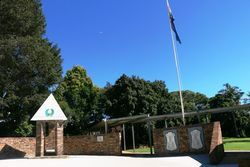 Two walls with plaques of inscriptions of the men from Cudgen who enlisted in the Great War are behind (those who lost their lives have a cross to the left of their name). 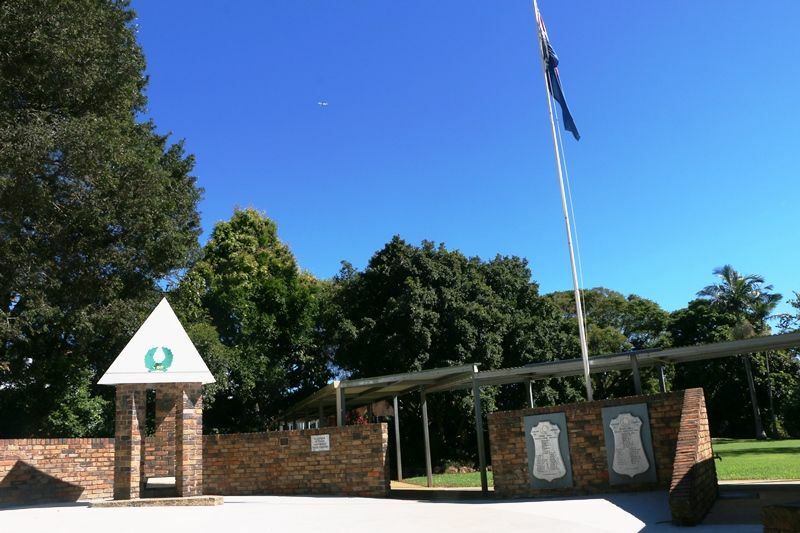 The street leading to the memorial is lined by Norfolk Island Pines, each dedicated to a life lost in the Great War. 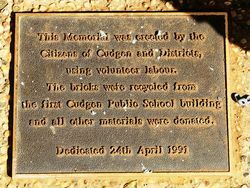 The bricks used came from the first Cudgen School building on the site in 1890, which was demolished in 1982. 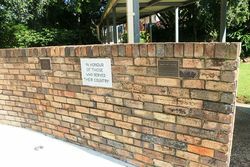 The bricks were specifically held for the cenotaph and it was built entirely by volunteers. and all other materials were donated.